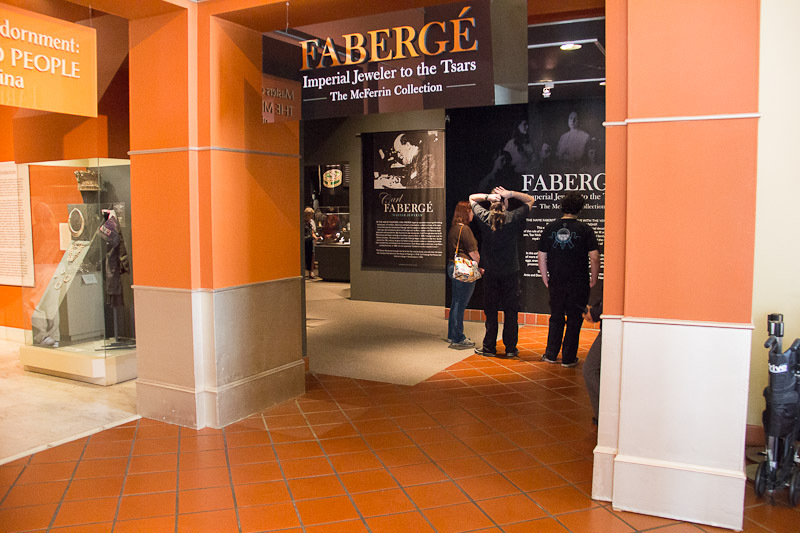 June 28, 2012 - Today's adventure brought us back to the Bowers Museum in Santa Ana to see the Fabergé exhibit that just opened, called Fabergé: Imperial Jeweler to the Tsars. The treasures here are overwhelming. 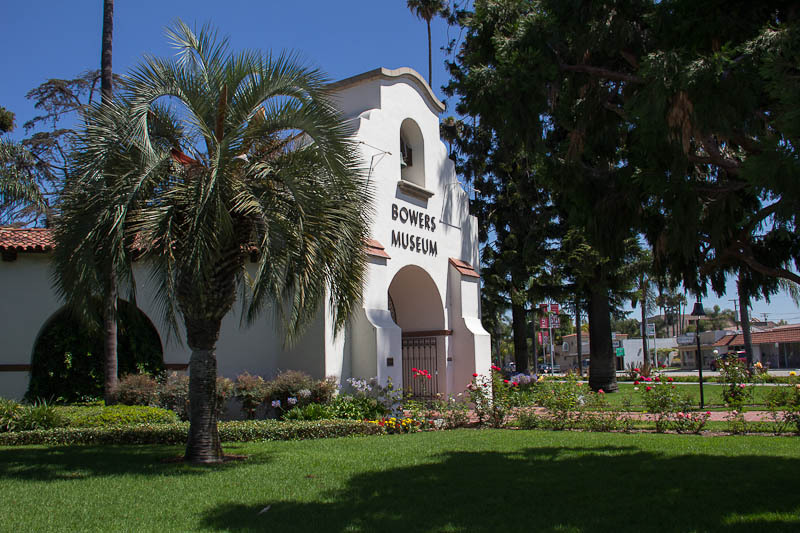 Since it just opened, it was a little crowded, but we were able to see everything. My biggest problem was limiting the amount of pictures to show. 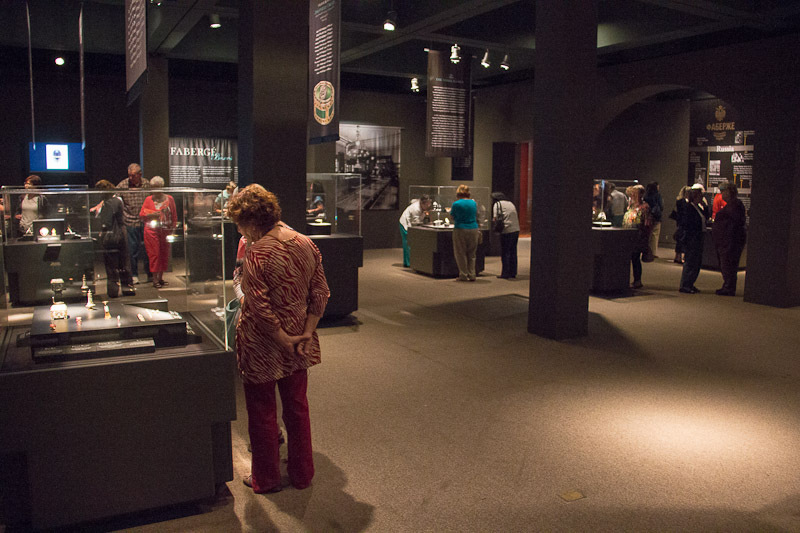 The following are pictures of some of the 120 pieces that are showcased in this collection. 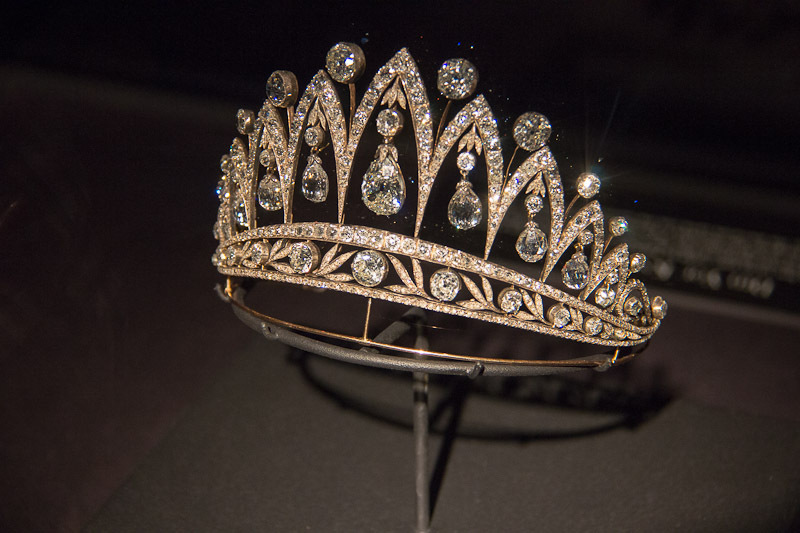 Fabergé created this diamond tiara around 1890. The stunning briolette diamonds were a gift from Tsar Alexander I to the Empress Josephine after her divorce from Napoleon Bonaparte. 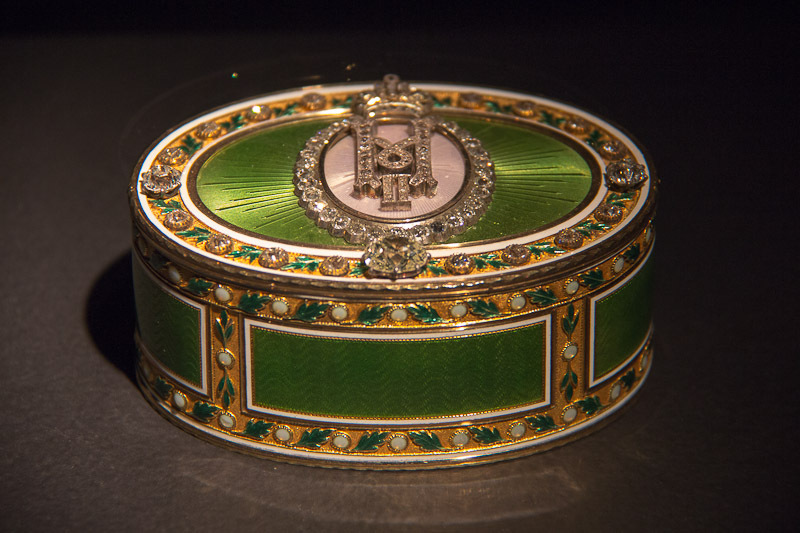 This piece is one of only a few tiaras ever made by Fabergé.1 The center diamond is over 8 carats. 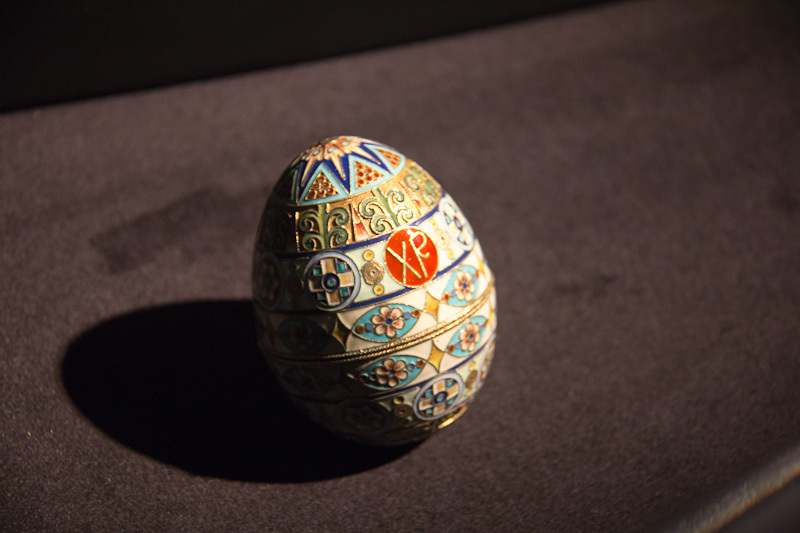 Tsar Alexander III commissioned the first egg ever created by the House of Fabergé in 1885 as an Easter present for his wife, Tsarina Maria Feodorovna. 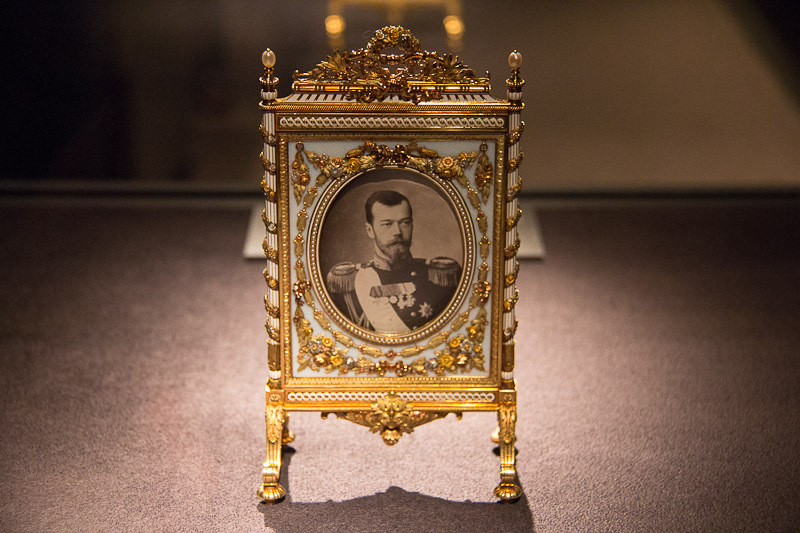 His son Nicholas II later commissioned such treasures for his wife Alexandra and for his mother, continuing a tradition that would last more than 30 years. 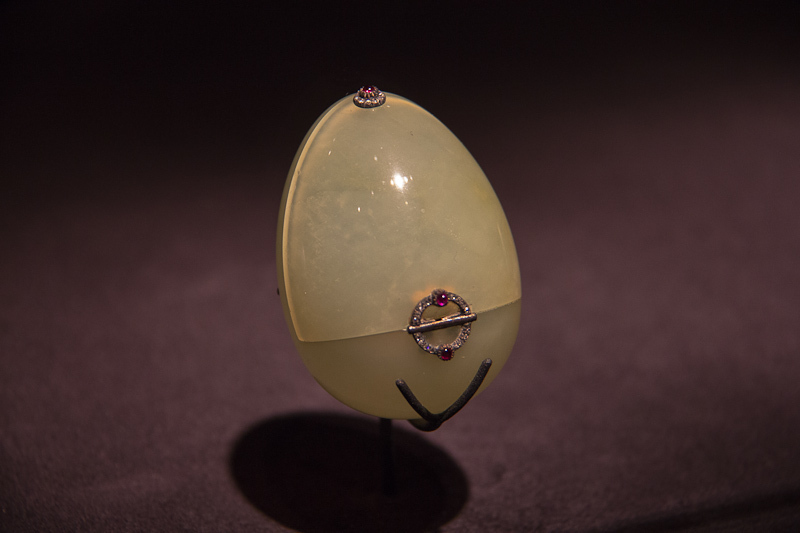 Fabergé made eggs for only a small number of other clients; one of those was Swedish industrialist Dr. Emanuel Nobel, who commissioned this treasure between 1913 and 1914. 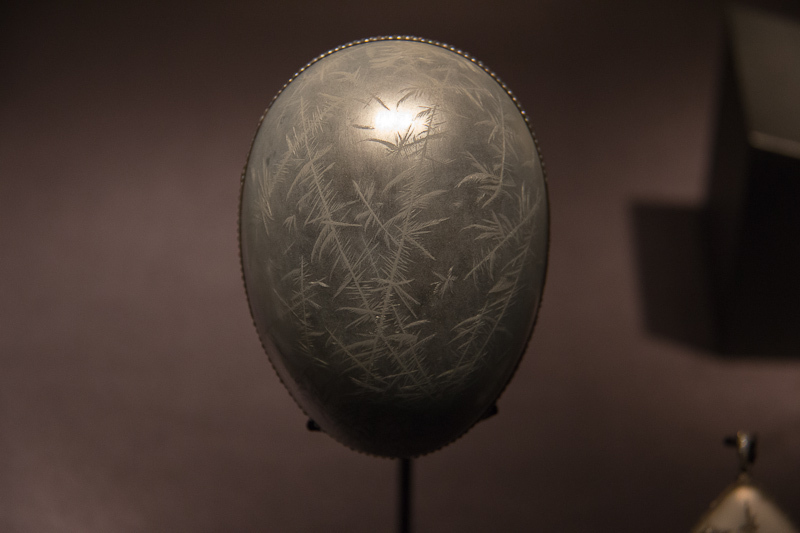 This piece, a jeweled, enameled presentation egg, is also referred to as the “Snowflake Egg,” its shell ingeniously enameled and engraved to simulate the tracery of frost against a misted ground. 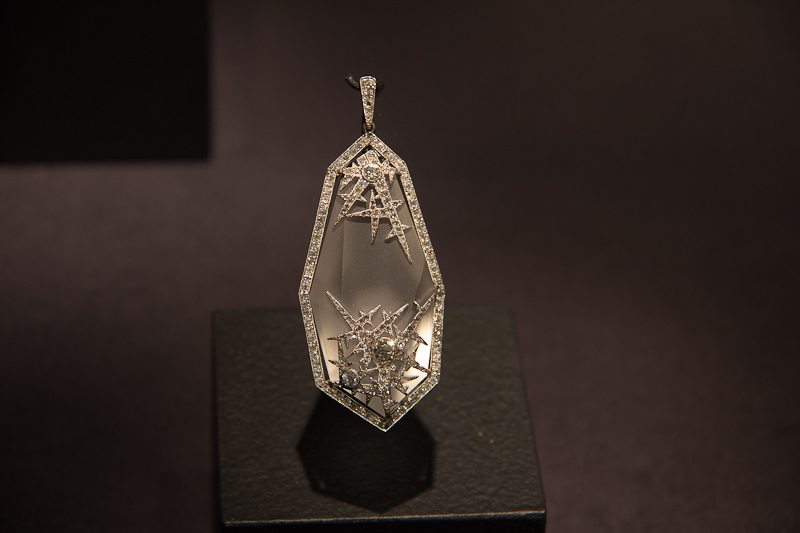 It opens to reveal a “surprise”—a rock crystal and diamond pendant watch. 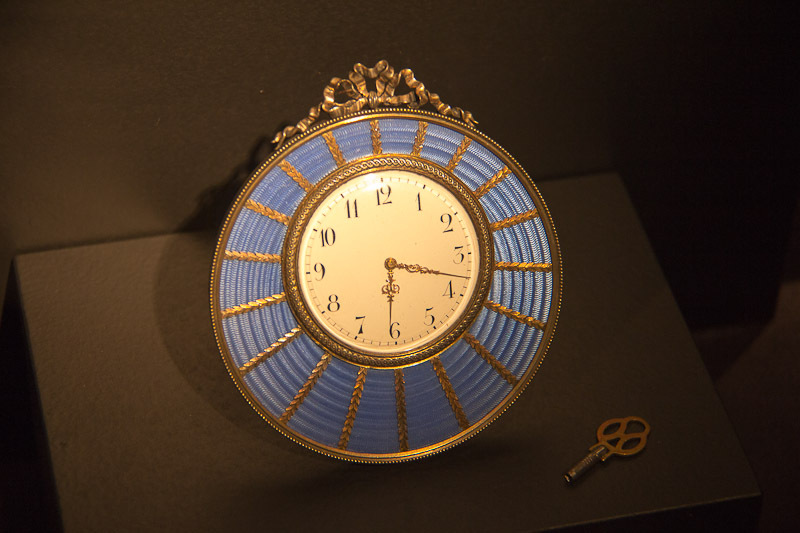 The unique watch design was created specifically for Dr. Nobel and interpreted in other jewelry pieces by Fabergé, some of which Dr. Nobel gave as favors at his dinner parties.1 Several examples of these “ice jewels” are included in the exhibition, including the one pictured below the egg. 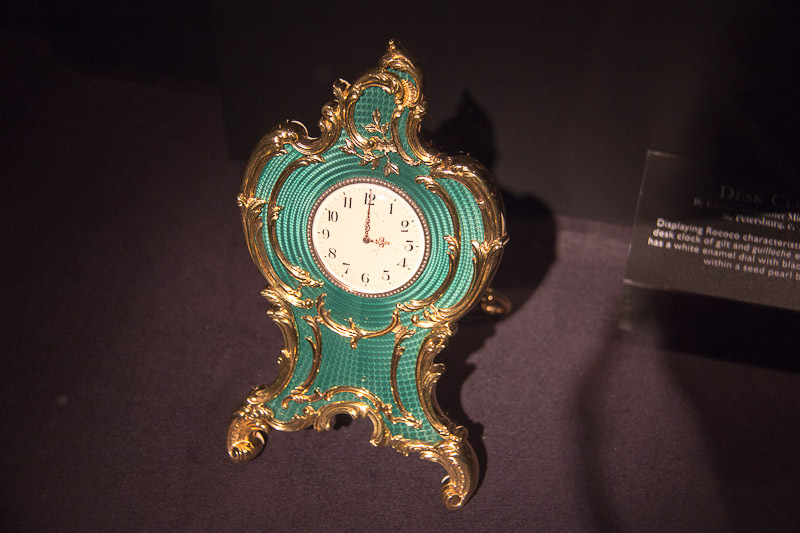 The tsars were so rich that they were able to hire Fabergé to fashion elaborate and bejeweled "push buttons" to ring for a servant's attention. These could have been installed on a table next to an easy chair or some other convenient location. 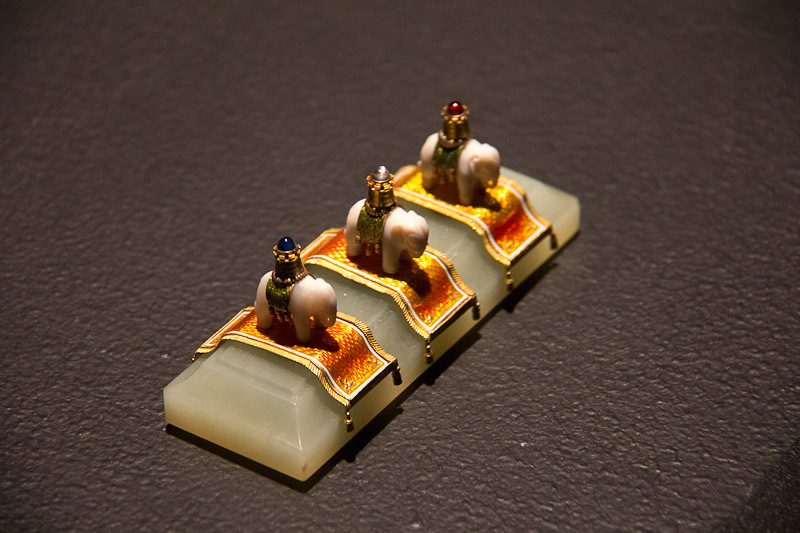 The push button below was color coded in jewels such that one of three attendants could be summoned at will. Each elephant is placed on a carpet made of gold. 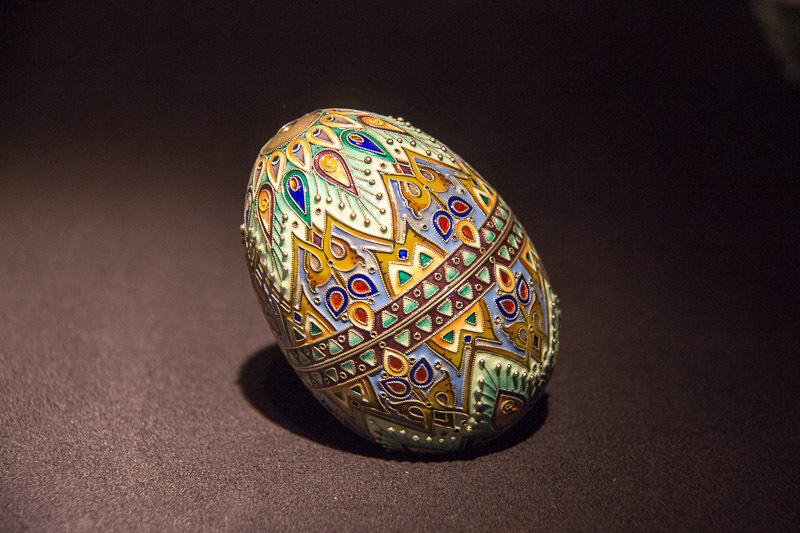 Three more eggs and one jeweled box and we're done! It must have been wild to be that wealthy! Of course each one of our trips includes a stop for lunch, so today we feasted on baby back ribs at Norm's. 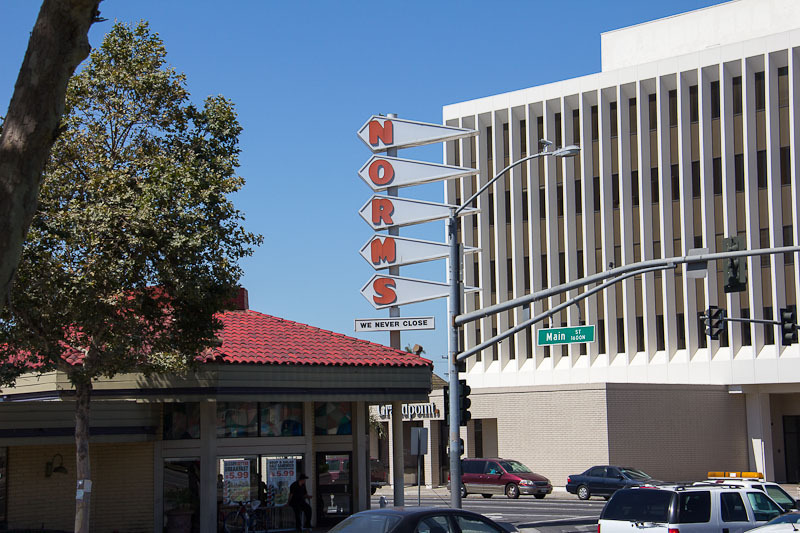 All of Norm's Southern California restaurants are designed in the Mid-Century modern "googie" style.